There is no Cold War that is more chilling or isolated than on the untouched surface of Jupiter’s moon, Europa. 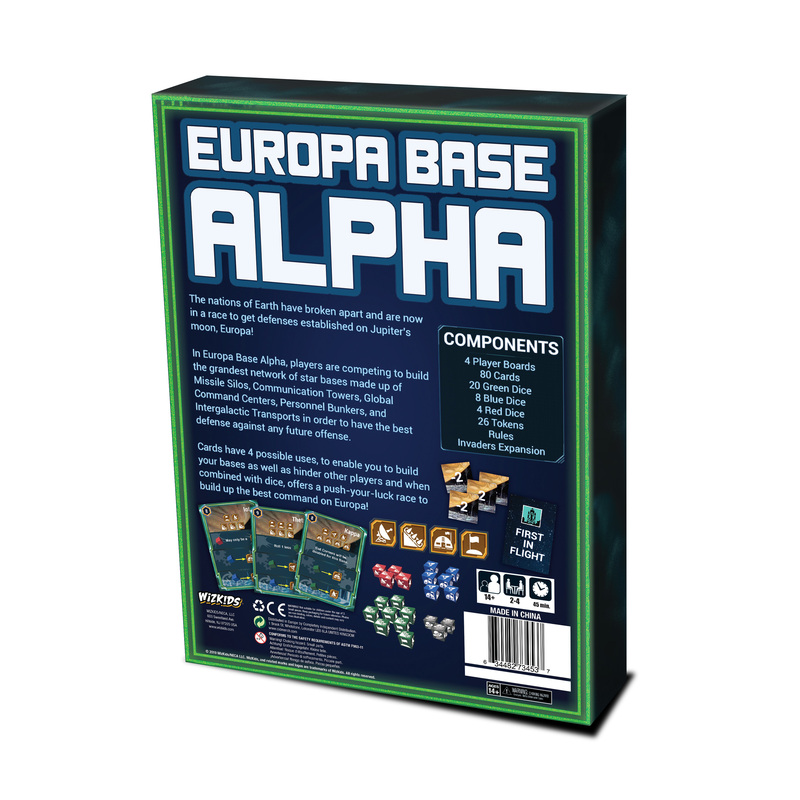 The nations have broken apart and are now in a race to get defenses established on Europa before it is too late. Will you take control of Europa with the largest network of installations or will you be left in lunar dust? 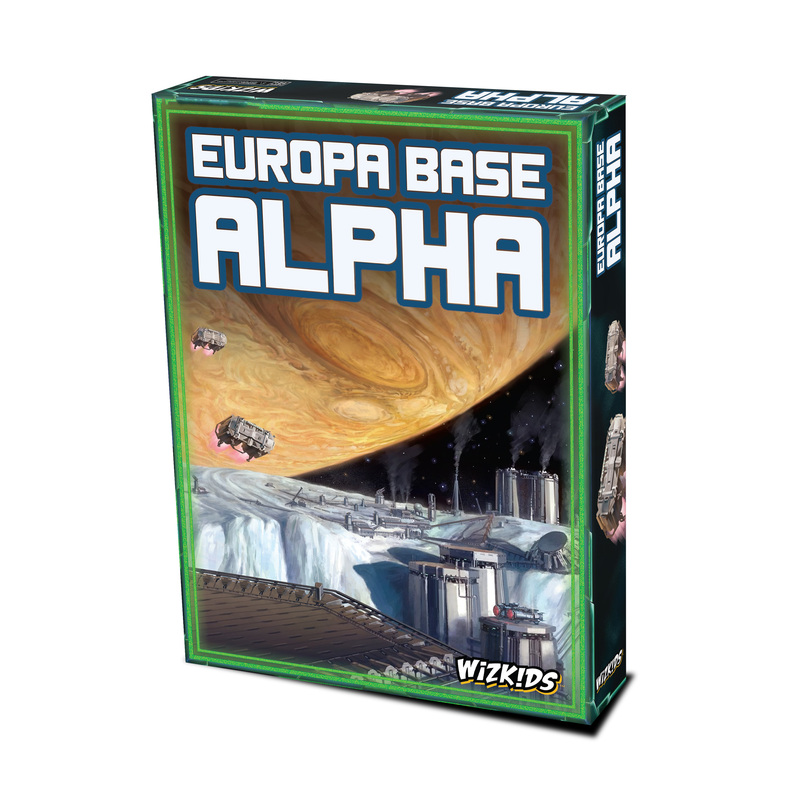 In Europa Base Alpha, players are competing to build the grandest network of moon bases on Jupiter’s moon, Europa. 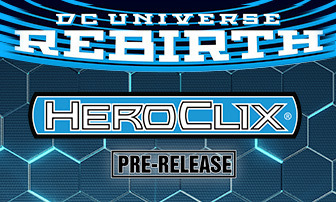 Cards and dice are used to help you build your bases as well as hinder other players. 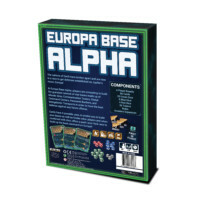 Bases need certain icons, such as Missile Silos, Communication Towers, Global Command Centers, and more, to be rolled, and cards can be played to aid in getting those icons or to hinder an opponent by requiring more icons, rolling less dice, etc. The player with the most points earned from built moon bases will take control of Europa and win!